Join Us Bangkok on Valentine’s Day for 2 Romantic Events! Couples VS Singles! 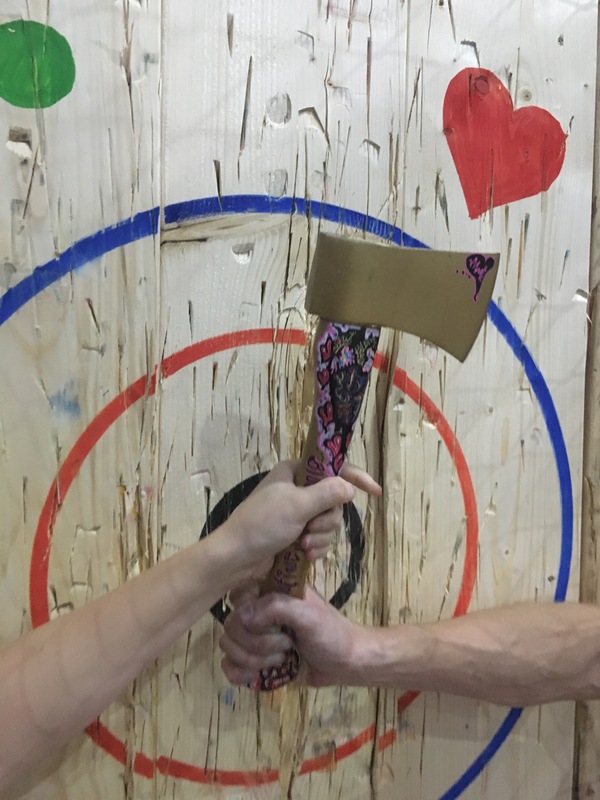 Golden Axe hosts 2 Valentine’s Day Axe Throwing Events on February 14th at 8PM! 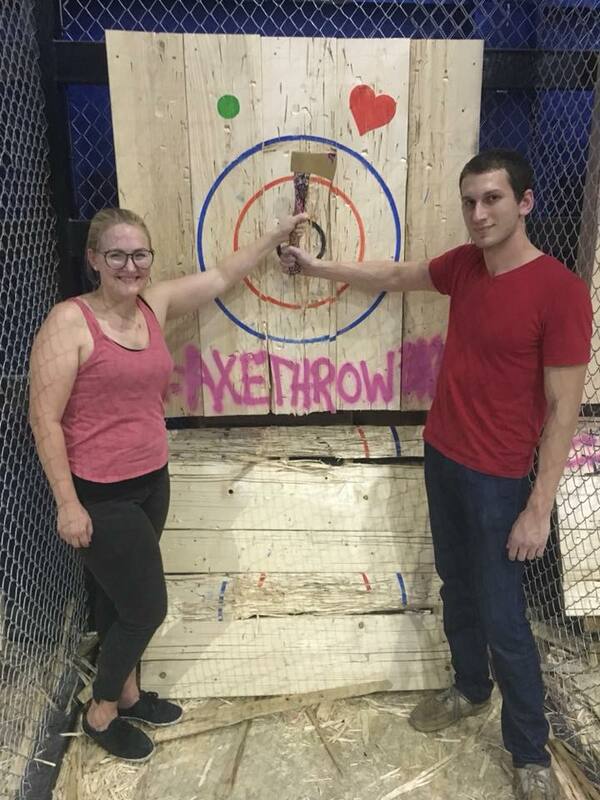 1 Axe Throwing Tournament for Couples & 1 Speed Dating Tournament for Single folks. 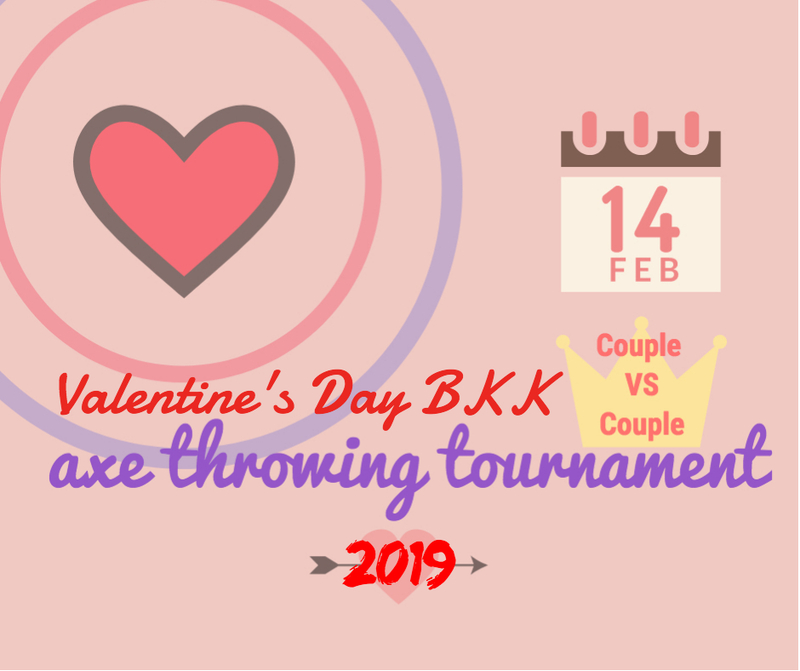 Come with your faen partner (แฟน) or gik (กิ๊ก) and join our couples tournament, designed specifically for couples looking to battle it out to be the #1 Champion Couple in Bangkok on Valentine’s Day! 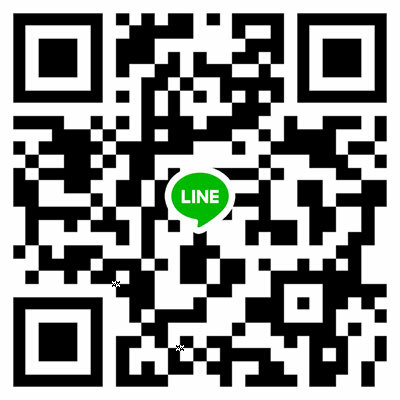 Even if you Kun mii gík yǝ́ (คุณมีกิ๊กเยอะ) [have many fwb|, pick that special one to accompany you…just make sure you get your stories straight! Or, come solo and get paired off with other solo throwers in an epic Speed Dating Tournament designed to socialize and break the ice. We will pair off all single throwers for random tournament action. 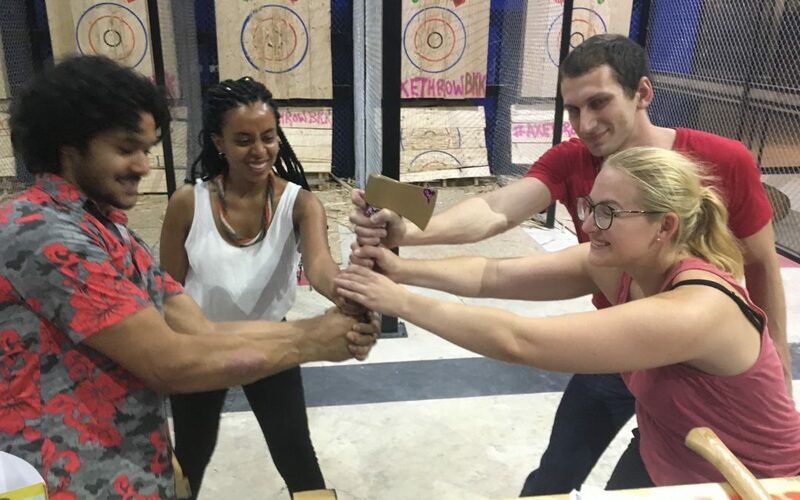 Throw axes, drink beer & meet some new cool friends! Plan Ahead & Book Your Valentine's Day Reservations Now! 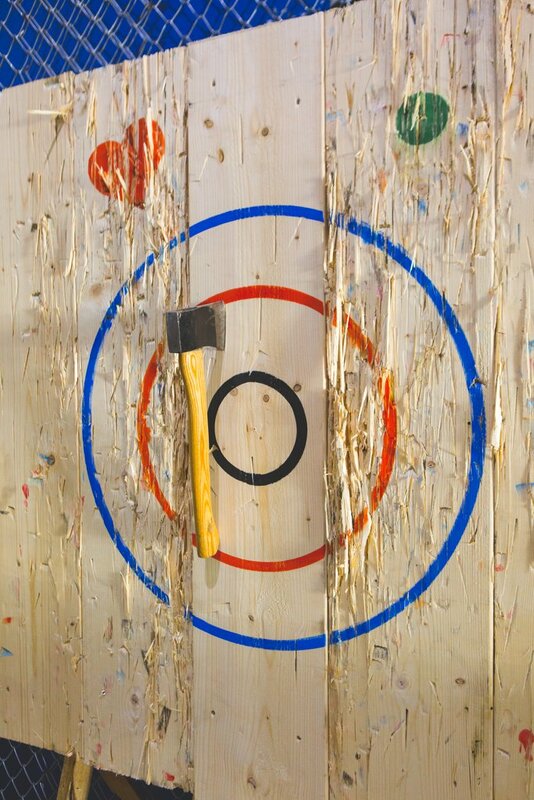 Show off how much you planned ahead, with a surprise Axe Throwing reservation for your beau or just come solo! Simply book our regular 1 hour session with the quantity of guests coming with you. Happy Hour 2 for 1 specials for all women and LGBTQ all night long! 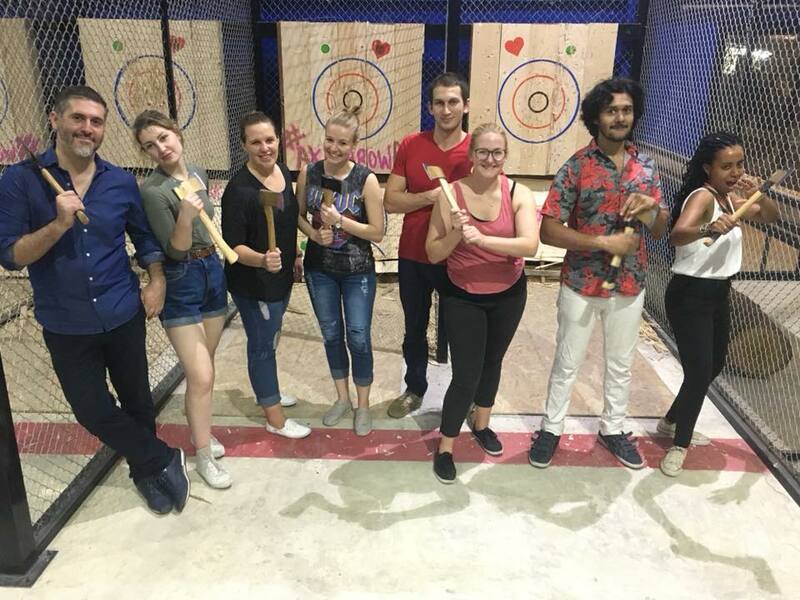 In 2018, Golden Axe hosted a fun social event with several couples competing for the Golden Axe of Bangkok’s Couples Champions! Did the winning couple stand the test of time? Will they be back to defend their title?! We will find out who the 2019 Valentine’s Day Axe Champions are on February 14th! 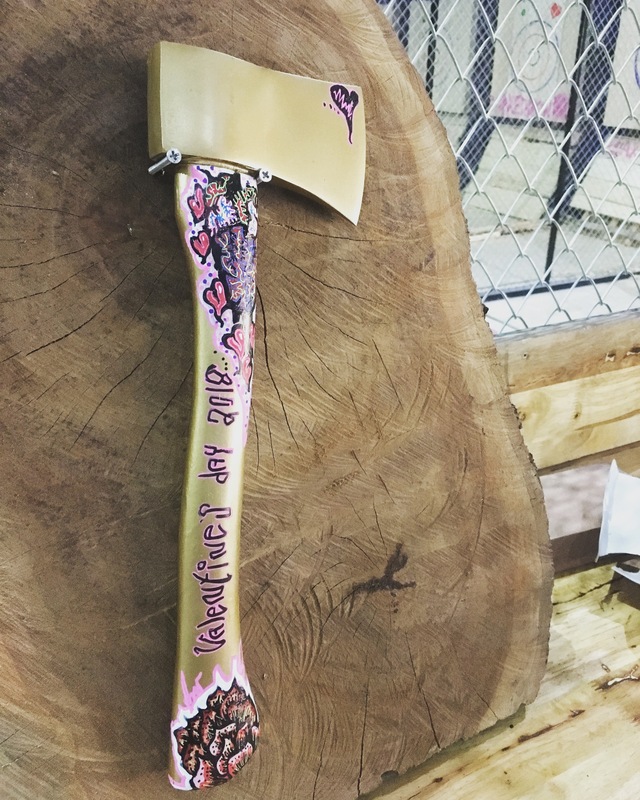 Couples fought for the coveted Golden Lover’s Axe with local artwork from a resident Bangkok Artist Robin Wessberg. Contact Golden Axe With Any Questions or to make Reservations for our Valentine's Day Events.